Thanks for watching Larry King Now on Ora.tv! 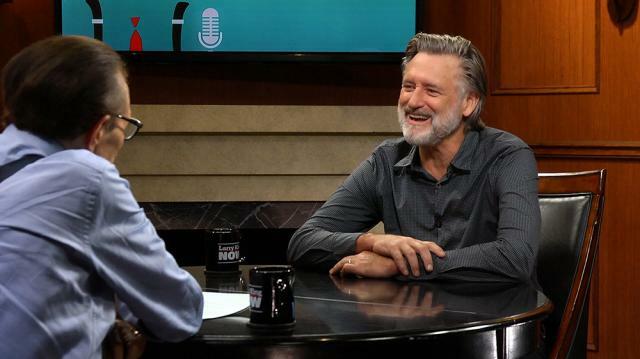 During a game of 'If You Only Knew,' Bill Pullman unveils that he was offered the part of Jerry Lundergaard in the iconic film 'Fargo,' but had to turn it down due to a scheduling conflict. William H. Macy went on to play the famed role after Pullman declined. What Would You Ask Raja Kumari? What Would You Ask Craig Ferguson? What Would You Ask Nate Berkus and Jeremiah Brent? What Would You Ask Tamar Geller, Evan Antin, and Alexandra Horowitz? What Would You Ask Oscar De La Hoya? What Would You Ask Christian Siriano? What would you ask Dr. Dean Ornish? What Would You Ask Nate Bargatze? Ora Media L.L.C. All rights reserved.